“J’accuse”, the shawled woman’s stare seems to say. 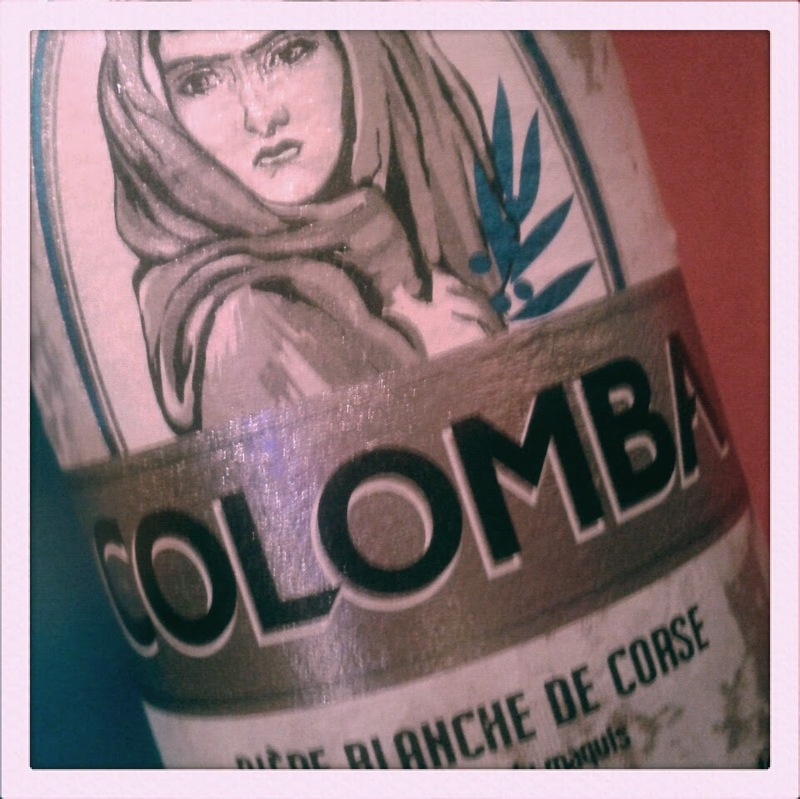 The Corsican lady on the label of a bottle of Colomba has the most accusatory look I’ve ever seen on a beer bottle. It’s the “I know your secrets” look. The fixed eyes that whisper “you thought you were alone”. It comes as a relief that the beer within the bottle is nothing as venomous as the Corsican gaze burning out from the label. Some beers, on opening, yell out “let’s get totalled” or “why isn’t there any red meat on the table, philistine?” but Colomba pulls the string on a worn-out airhorn and hollers “quittin’ time!”. This is a beer for the end of a hot day, to celebrate the termination of a shattering shift and the birth of the weekend. And the warmer the climes this all happens in, the better. The release of the cap brings forth a crackling, crunchy aroma of wheat and the beer pours (at first stubbornly, then simply sluggishly) a beautiful opaque apricot hue. It’s a beer that, head settling down quickly and body looking decadently fulsome, makes this reporter wonder about the feasibility of framing forever a pint of liquid. Colomba is gorgeous. The first nose of Colomba, once settled into its temporary glassy apartment, is acres (or hectares, I guess) of straw, with a scent of wheat that is almost overpowering; the senses recoiling from its bitterness ever so briefly, like a snail’s antennae. The first mouthful is less a taste and more a strange sensation of the paradoxical combination of both refreshment and utter dessication. This beer is mummification-dry, messing with the senses by still having the gall to be liquid. The wheaty tone expected of a bière blanche (the French term for a wheat beer) is obvious in the taste, and beneath this flicker the thin remains of the banana esters of a German Weissbier, appearing and disappearing like wandering ghosts. As the glass clinks down on the coaster a few more times an earthy tone appears in the taste; a dirty flavour. Not dirty like the skunky stank of a bottled beer left in the sun too long, but the transient rush of a cloud of dust kicked up by a passing car on a dried out country track. 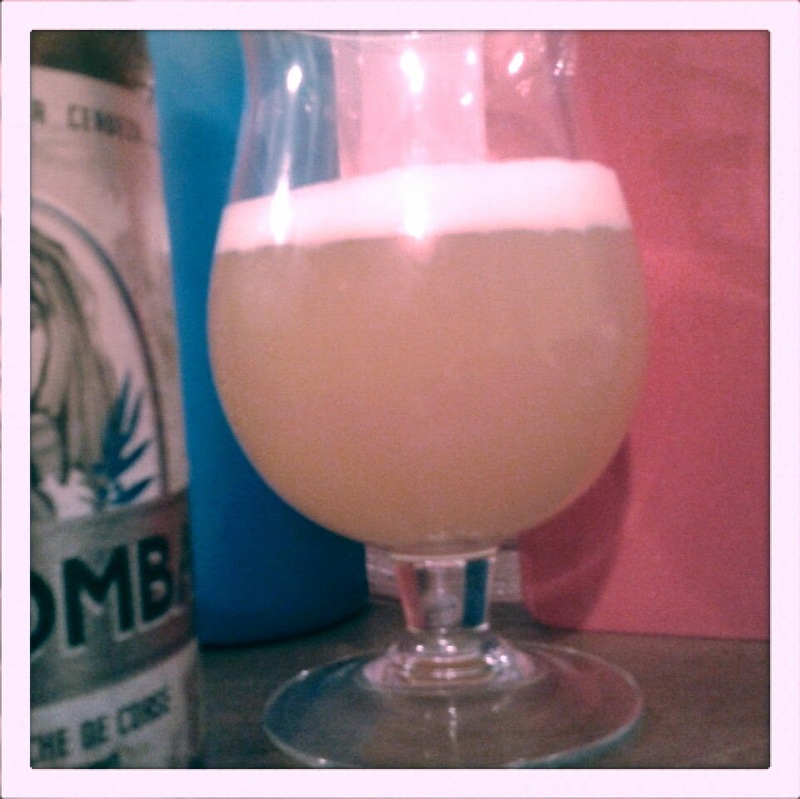 This doesn’t last more than a couple of sips before the fruity tastes of this wheat beer emerge. With Colomba the fruit flavours aren’t the moist citrus explosions of a powerful IPA, but slivers upon slivers of dried fruit, sliced thin as communion wafers. The fruit notes are perished, as opposed to ripe, and there’s a dusty kick in the tail of every mouthful. Despite all this talk of dryness this is a very refreshing beer, slaking the thirst with brutal efficiency. At the end of a hot day it’s a perfect nightcap. At the end of a simmering, summer working week, whether the drinker has been toiling over heavy machinery or sitting in a pool of their own soup in a stifling office, a few bottles of Colomba would be a perfectly understandable accompaniment to a Friday evening meal. A couple of sixpacks of it would be a perfect dessert. With friends, and responsibly et cetera. With only two fingers of beer left in the tulip glass Colomba’s scent matures, or mutates, from its crisp and wheaty aroma to something woodsy and feral, growling and untamed, like dirty farmhouse liquor. The final mouthful leaves a haze of sizzling dryness and cooling refreshment on the tongue. Colomba is dry yet quenching, and pairs neatly with Mediterranean chicken dishes. This review was written at the end of a very hot day, where the beer really came into its own. In six months’ time I’ll revisit all the summer beers I’ve rated and glug them down in a winter setting, to see if they hold up to the change in the seasons. Between then and now, I’ll be adding the Colomba bottle to ny windowsill of beers, the label turned squarely to the wall, or perhaps out into the street. Because those eyes man. Those eyes.